Gracias por decirmelo, seguramente sin darme cuenta lo puse en modo privado. More improves in other parts can be possible. I do not go to make this upgrade very fast, perhaps two weeks, a month or more. I have my other FOC mod. But it will be a good update. 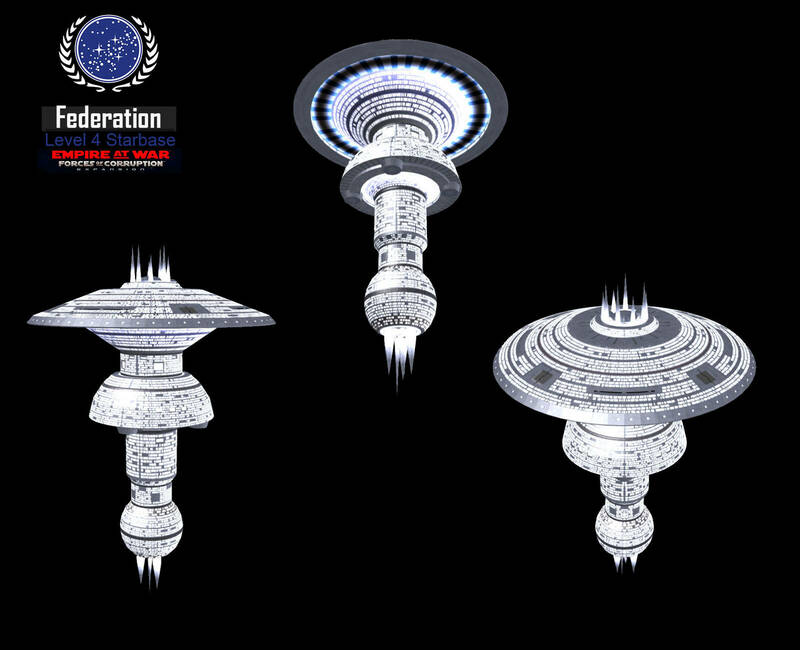 Yesterday I told you how I did not like the Starbases from Federation and Klingon mainly. This will be the Level 5 from the Federation. 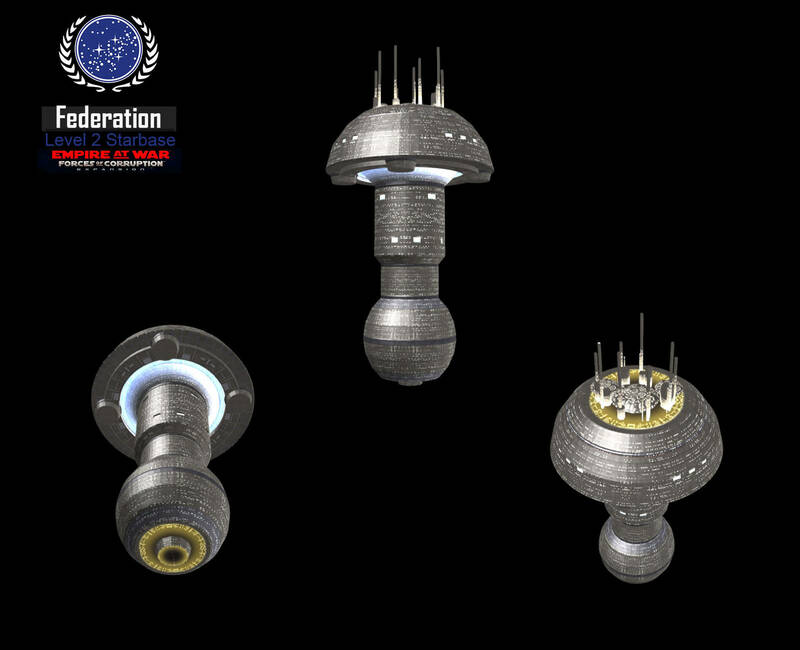 Instead from one similar starbase for each level, I will add different starbases, from the older to the most modern. I like the idea more. With the new update, I have improved several things more, some space disruptor proyectiles, many death animations from space units and some gas planets. In addition, there are two GCs only, one only in the TOS era and other where you start in the TOS era but you can unlock the TMP era researching several type of ships. When you research all them, you unlock the additional faction planets and the TMP era space units in other main factions controlled by the AI. It makes the game easier in the begining and lets you prerare your forces for the most powerful units from TMP era which they will defeat TOS era units easier. There will be more small things which I will fix, for sure. But by the moment, it looks better. The new Federation stations are ready as you can see. Progress, it goes more advance than you can look in this thread but I go showing things when I find time. The new Federation Starbases are all them running and the same happens with the Klingon. Here you can look all the others from the Federation. 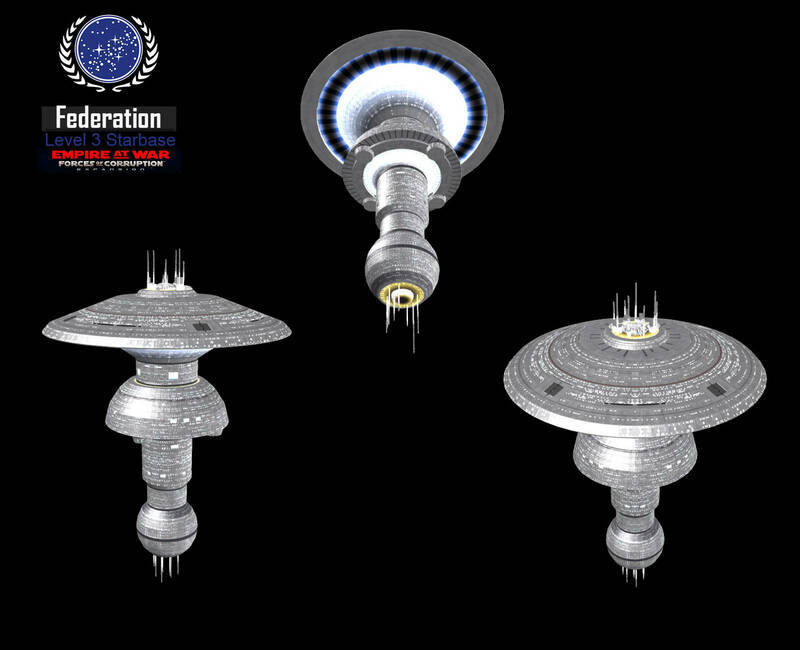 The Federation level 1 starbase is the older level 5, it does not need presentation. I have recorded a new video showing the new Level Starbases. These stations are different between them but instead from add more hardpoints, they can share the amount of them but increasing the power of them and most modern weapons.